Have you ever experienced your Air Conditioning Unit breaking down in the heat of summer? Or perhaps suffered through blocked drains? It can be infuriating when this happens and yet you can’t seem to get a technician to come over and fix it promptly. Sometimes, you might reach a technician but they don’t know what the issue is, don’t have the correct tools and may even make things worse! Luckily, you can always reach HomePro. 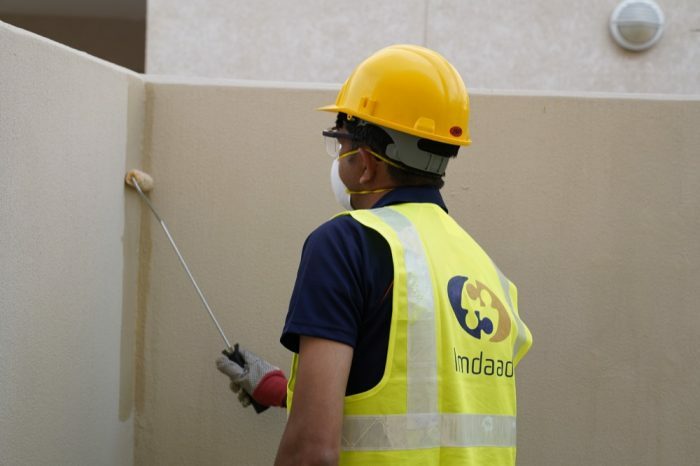 HomePro is a 24/7 Maintenance Service provided by Imdaad. 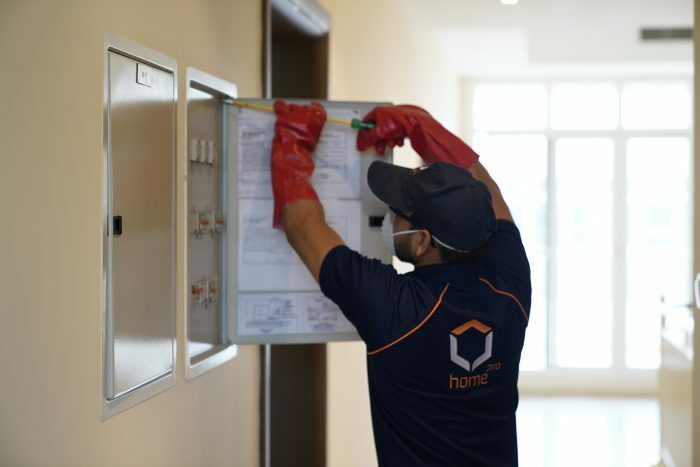 It provides customised services to homeowners through its skilled and competent workers and offers an on call service as well as Annual Maintenance Contracts (AMCs). 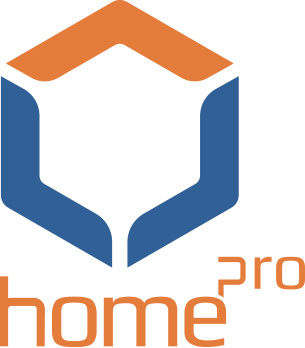 Leveraging Imdaad’s vast experience of managing buildings within Dubai, HomePro is able to solve MEP issues that others might not. These include, but are not limited to, Air Conditioning & Ventilation System Maintenance, Electrical System Maintenance and Plumbing System Maintenance. 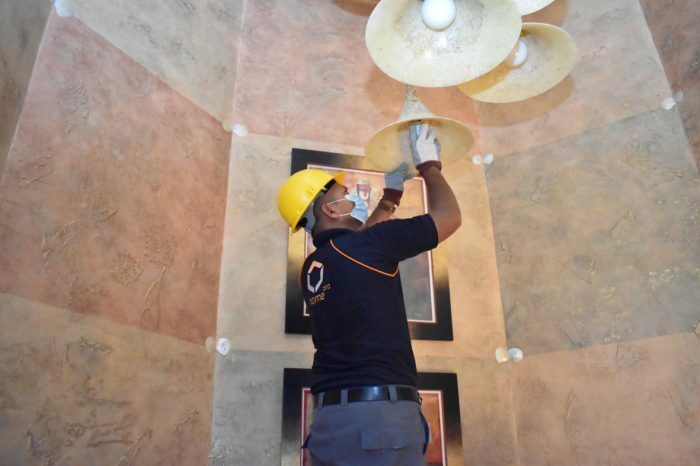 Our team of home improvement professionals are experienced painters, whether you need to repaint a room, an entire home or even Villa facades. Our experienced renovation team staff can plan and execute projects including flooring, new window installations, and complete remodeling. We use the latest techniques and technologies for garden maintenance, shaping and cleaning. We can assist with seasonal pool openings and closings, as well as, weekly pool maintenance services which include on-site pool water testing, adding and balancing chemicals, and pool cleaning services. We provide long-lasting solutions for Underground and Overhead tank cleaning, ensuring that the water you use is free from algae, dirt, sludge and other contaminants. 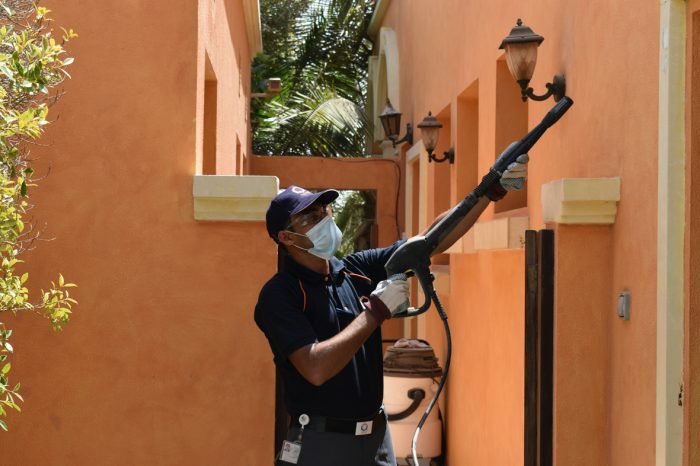 We are experienced at controlling and removing many different types of pests. 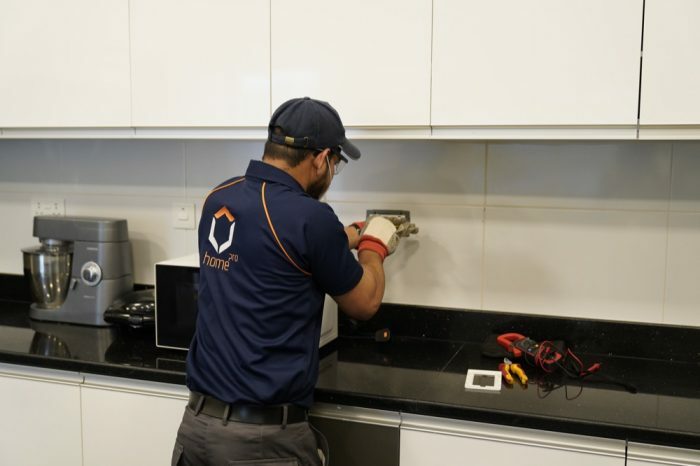 Our Dubai Municipality approved controllers work to provide safe solutions that remove the root cause of the issue and avoid harm to humans, pets and plants. HomePro offers residential garage door maintenance services for the safe and proper operation of your home’s garage doors. An annual garage door tune-up helps ensure its safe, reliable and quiet operation. Our team is capable of tackling facades and windows of all types, regardless of the height of the building or other challenges. 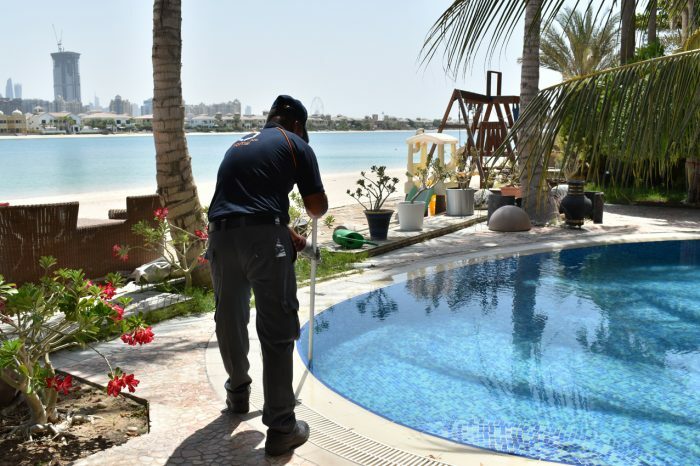 As part of a one of the largest Facility Management Companies in Dubai, we have access to the best equipment and training in this area, guaranteeing to leave your windows sparkling clean! Find comfort in knowing your home has access to silver-service home maintenance. The gold standard of maintenance packages at surprisingly affordable costs. Leave all your maintenance and home care needs to HomePro year-round with our Platinum AMC package. It includes all of our most popular services and even includes content insurance!